"Before The Parade Passes By..."
Ever have a song take refuge in your head and refuse to leave? I heard just a snippet of a song from "Hello, Dolly" the other day, and it keeps popping up at odd times. The line that keeps running through my mind is, "Before the parade passes by..."
Each of us start out in this life with an idea of where we're going. It may, and probably will, change along the way. I started out wanting to be a pilot. Then a lawyer. Then a baseball player. 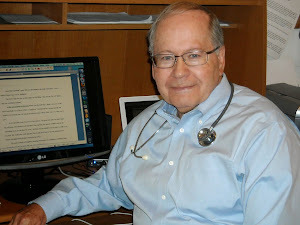 I ended up practicing medicine for almost forty years. About the time I decided to retire, changes in my life altered that course. Now, here I am, the author of eight published novels and a novella, not to mention a non-fiction book. Did I set out to do this? Absolutely not. Has God been in control of my life? Absolutely--even when I didn't want to let go of the controls. 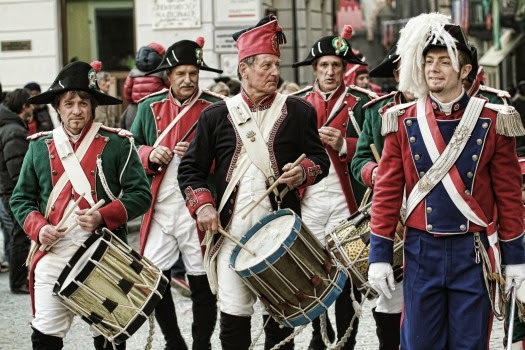 You may have ideas about what you want to do before the parade passes you by. You may be able to accomplish them, you may not. But it's always nice to have a goal. What are yours? Tweet with a single click: "What do you want to accomplish before the parade passes you by?" Click here to tweet. Writing: Should We Obsess Over Reviews? One of the first things I was told when my work was published was not to obsess over Amazon reviews--the number, the character, anything about them. "They mean nothing." Yet I get emails wanting me to buy books that refer to " X number of great Amazon reviews." As a feature of Authorgraph, a site that lets you get a personalized sentiment and sort-of autograph for your e-book, I get an email every week that tells me when one or more of my books has received a new review, together with a ranking, whether it has gone up or down (and how much) and the number of reviews. The ranking changes dramatically from week to week (and there are lots of explanations of Amazon rankings on the web--I'll refer you to them), but after a book is published, new reviews come slowly. I was going to list all my books, their rank, and the number of reviews, but decided no one but me would be interested. What I will say is that I can see no correlation between the number of reviews or the number of stars I receive with the Amazon ranking. My book with the highest rank came out years ago and has just short of 60 reviews. My non-fiction book, The Tender Scar, has been out for ten years, is still selling, and received just under 50 reviews. The book with over 200 reviews is next to last in my ranking list. There's no correlation. What do I recommend? Write the best book you can. Get the word out to potential readers. Then start work on your next one. What do you think? Are reviews and Amazon rankings important? Tweet with a single click: "Are reviews and Amazon rankings important?" Click here to tweet. Many of you participated in the Christian Fiction Scavenger Hunt that ended a couple of days ago. 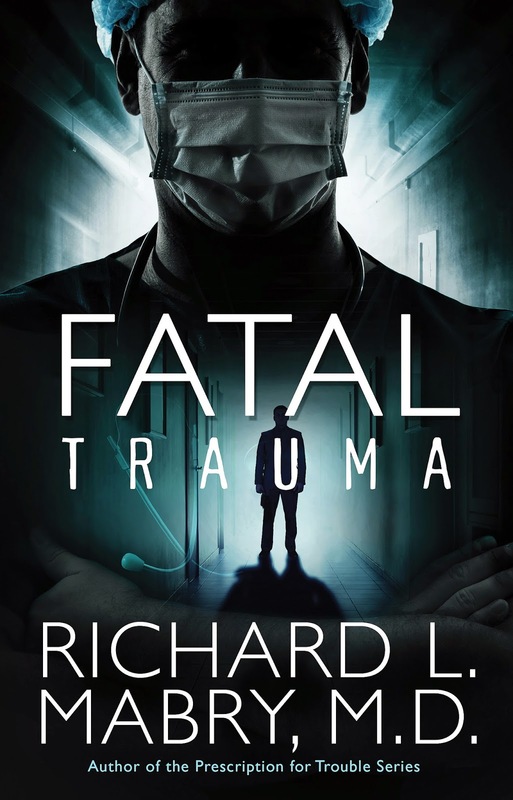 But a number of you also took advantage of the individual give-away I posted, the winner to get a signed copy of my next medical thriller, Fatal Trauma. The winner, as chosen by Rafflecopter, is Christy Morris. I've sent an email to Christy, and am waiting for her to choose between a copy of my latest release, the novella Rx Murder, and my forthcoming book, Fatal Trauma. For those who didn't win, thanks so much for playing. You who signed up for my newsletter (and those who were already subscribers), watch for some exciting news soon. And thanks to everyone who participated. Come back on Friday when I resume my regular "Writing" posts with a discussion about reviews. Welcome to the Christian Fiction Scavenger Hunt! I am a part of the Pink Team and this is Stop 7. If you’re just joining us, there are two loops—pink and purple—and they begin at Lisa Bergren’s site and Robin Hatcher’s site for stop #1 for either team. If you complete either the pink loop or purple loop, you can enter for a Kindle paperwhite and the 17 autographed books from that loop. If you complete BOTH loops, you can enter for the Grand Prize of a Kindle Fire HDX and ALL 34 autographed books. The Hunt begins at NOON Mountain time on April 16 and ends at midnight Mountain on April 19, 2015, so you have a long weekend to complete all 32 stops and maximize your chances at prizes! If you're reading this before the date and time noted, it's so the organizers can check the post. Please come back when the hunt starts. Thanks. Be sure to keep track of the clues at the bottom of every post in the loop and the favorite number mentioned. You’ll need those clues to enter for the loop prize and every number mentioned in order to enter for the grand prize. Note that the organizer of the hunt suggests not using Internet Explorer to navigate through the loops. Some web sites won’t show up using IE. Please use Chrome or Firefox—the hunt hosts think they’re better anyway! 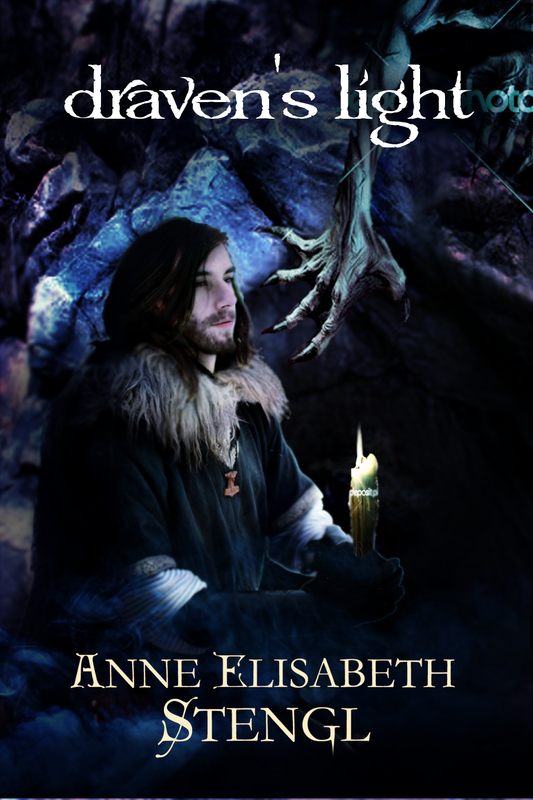 Now it’s my pleasure to introduce you to my guest for the Scavenger Hunt, Anne Elisabeth Stengl. 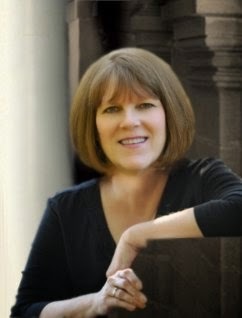 She is the three-time Christy Award-winning author of the Tales of Goldstone Wood, a series of fantasy adventure novels told in the classic fairytale style. She makes her home in North Carolina, where she lives with her husband, Rohan, a kindle of kitties, and one long-suffering dog. 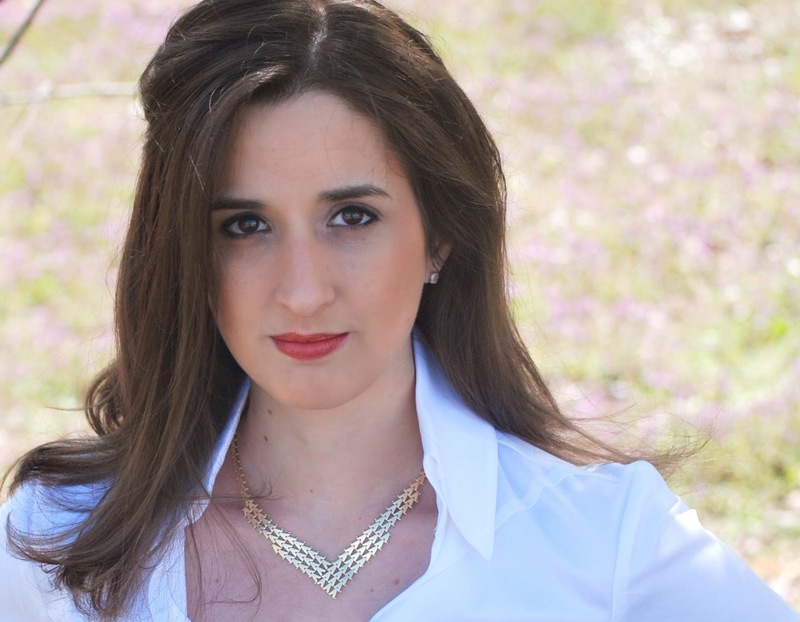 When she’s not writing, she enjoys Shakespeare, opera, and tea, and practices piano, painting, and pastry baking. 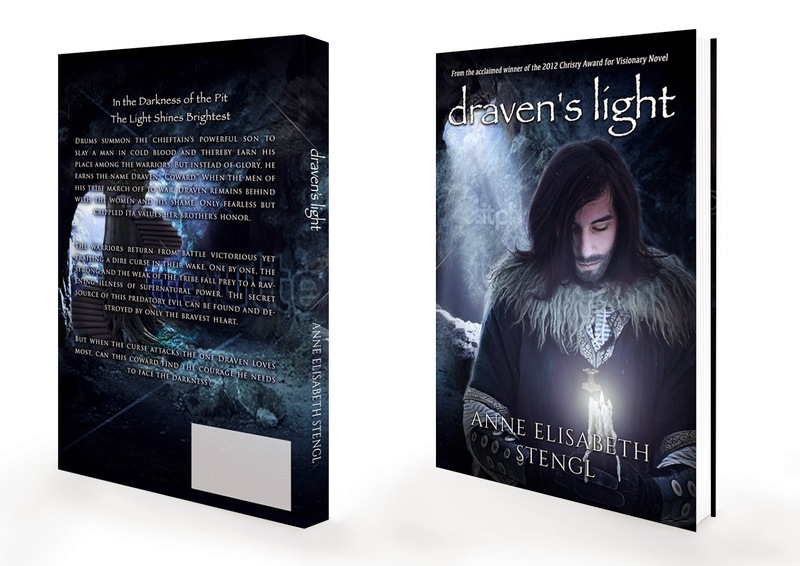 You can learn more about Anne Elisabeth and her work here and order her fantasy novel, Draven's Light, by clicking here. Now here's her exclusive content you'll see only here in association with this hunt. 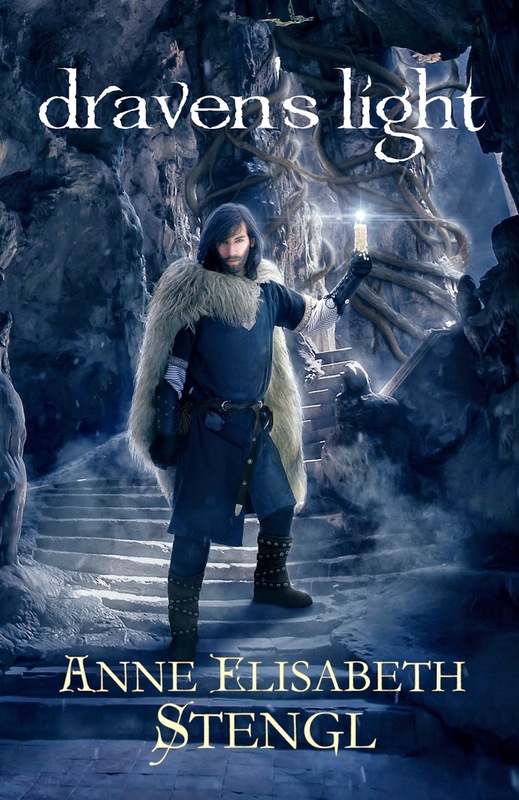 I was pleased to be directly involved in the development of the cover for my upcoming release, Draven’s Light. I worked with the artists to capture just the right mood and tone for this particular story. I told the artists working on this image that, while the story is dark, it is ultimately about hope in the hard times—light in the darkness. I wanted that idea to be communicated clearly in the cover image. I also REALLY wanted to see the hero of this story depicted on the cover (most of my covers until now have featured girls, whether or not girls are the prominent main characters!). I liked the direction this was going, but felt that the creepy monster hand reaching down would be too dark and too distracting to the over-all composition. They model was very handsome, however, and a great fit for the hero of the story. This time, I felt the hands were so small, they got hidden almost entirely by the title! Also, in an effort to make the image less spooky, the artist softened the color scheme a bit too much. This image, while very pretty, didn’t quite fit the story anymore. Definitely a stronger composition! I really loved this one and thought the artist did a gorgeous job. However, after discussing it with the folks at my publishing house, we wondered if the overall image was perhaps too peaceful. Again, this is an action-adventure story with some frightening twists and turns along the way! We really wanted a cover that would convey both the light and the darkness of this tale. Perfect! We loved that the hero was displayed in a full-figure shot (rather than just the head and torso), and is shown in the process of descending the dark stairway into the monster’s lair! His light is held high and casts a beautiful glow, but doesn’t take away from the danger of his situation. 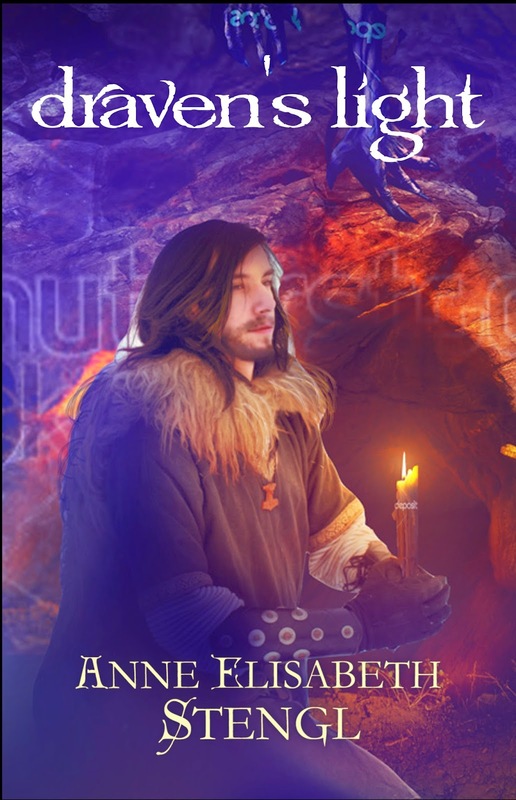 We were thrilled with the work of all of the artists who contributed to the development of this cover, and especially with artist Mihaela Voicu, who did such a wonderful job capturing the final image. This is probably my favorite book cover yet! Secret Number: 36 (the number I chose because it was my baseball uniform number). Got ‘em down?? Great! Your next stop is # 8, Anne Elisabeth's site. Click on over there now. And if you get lost, a complete list of the loop with links can be found at our mother host’s site. BUT BEFORE YOU GO: Below are simple options to enter for a signed copy of my latest novel, Fatal Trauma, or my novella, Rx Murder. I'll notify the winner by email after the Scavenger Hunt ends. The other day, Kay and I decided to treat ourselves to an apple fritter for breakfast. We have a donut shop just down the street, so I set out to bring home the bacon...I mean, the fritters. The slots in front of the shop happen to be reserved for handicapped parking, so I parked a few cars away and walked, never thinking anything about it. 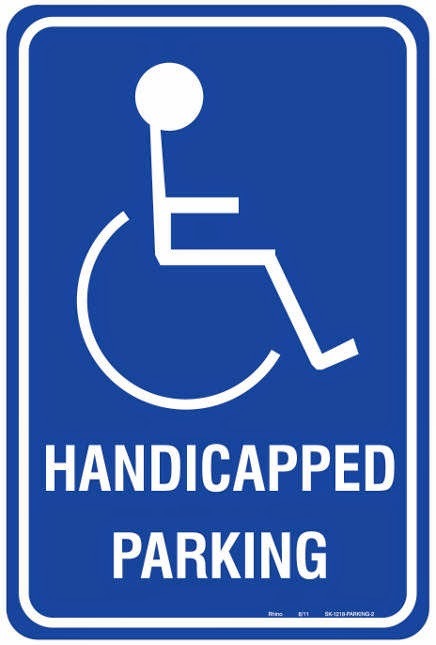 When I returned, I noticed one car pulling out of a handicapped spot--a car with no hanger or license plate indicating their eligibility for such a space. Immediately, another car pulled into that slot--and, like the one that just vacated there, it didn't appear to qualify for the spot. I suppose their thought was, "I'll just be here a minute. What could it hurt?" The importance of designated handicapped parking spots became evident to me when my first wife, Cynthia, was recovering from a broken ankle. Even though she was in a wheelchair, we wanted to go to church. (I'll hasten to say this wasn't where I now attend). There were lots of handicapped spaces marked, but every one was taken. And some of the cars carried no designation indicating they could use such a spot. Finally, a friend who was at the church door saw my dilemma. I double-parked, he unloaded Cynthia into a wheelchair, and I found parking further back in the lot. Do you see the lesson here? I did. It goes back to something most of us learned in Sunday school: "Do unto others as you would have them do unto you." Or, put another way, one day you may be in the other person's place. Remember that and act accordingly. Do you ever ignore signs, break rules, think "It's only for a few minutes," or "It won't do any harm?" Tweet with a single click: "Are rules just for other people?" Click here to tweet. Note: Come back at the end of the week for the Christian Fiction Scavenger Hunt. (And please note that, although the posts will have to go live early in order for the moderators to check them all, the hunt doesn't officially begin until noon, Mountain time, on April 16). When Richard asked me to blog about how I juggle writing, running the Suspense Zone, blogging, and family obligations, I started laughing. I’m in the middle of selling a house, buying a new one, and moving so I am doing a very bad job of juggling right now. BUT, other than major life changes like moving and the week right before a deadline, I do a pretty good job of getting everything done. How you ask? I’m one of those organized people who plans ahead. There I’ve said it. I love organization. Folders. To Do lists. Label makers. Spreadsheets. I love them all. Please don’t throw things at me. If it helps, I’m married to a slightly, ahem, very free flowing person. Not me. I simply cannot relax unless I’m on top of everything I need to do. My secrets? Nothing revolutionary. Just two simple things. First, I keep a calendar on my computer so I can see my commitments at a glance. Before I agree to do something, I estimate how long it will take me to complete, then check my calendar to see if I have the time. If so, I put the item on the calendar and set alarms to remind me of when it’s time to begin working on that item. Plus I add an alarm for when the actual due date arrives. Then I promptly forget about it until the date to complete the item pops up in my schedule. This allows me to concentrate on my work at hand and not clutter my mind with everything else. 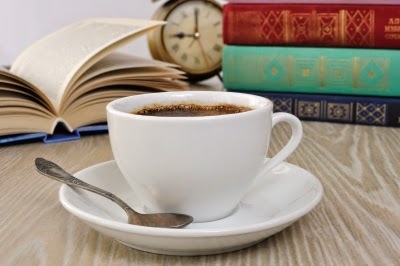 I also have regular to do events in the calendar such as reminders to post interviews and reviews on TheSuspenseZone.com and each morning I review the items due that day as well as glance at the next few days, too. Second, I maintain a spreadsheet with a list of contracted book deadlines for the next three years, and I block out time that I need to write each book. I set a daily word goal and track it so I know when I will complete a book. If I fall behind, I have to make it up the next day so I start earlier or work later. Or stay off Facebook, LOL. And my family? I fit those obligations in throughout my day. I take a quick break in writing to clean house, do the dishes, or laundry. These breaks actually work well to refresh my mind and keep me writing. I also use the calendar to track personal obligations and never, ever, ever schedule anything personal the week before a deadline. So you see, it’s not profound. Just simple organization tactics. How about you? How do you all balance the many areas of your life? Thanks, Susan. In addition to everything else, Susan writes...frequently and well. 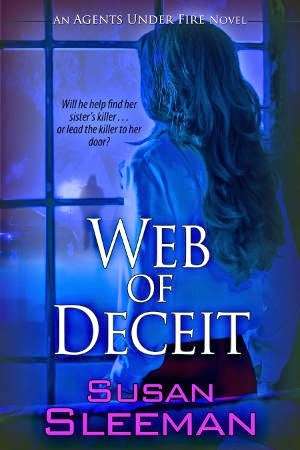 Her latest, Web of Deceit, recently launched, and if you haven't read it, I encourage you to do so. So, as Susan asks, how do you accomplish the balancing act in your life? TWEET WITH A SINGLE CLICK: "How does an author balance all the activities in their life?" Click here to tweet. For the Christian, Easter is the culmination of the story. It begins with the birth of Jesus, but every writer knows the best part of the story is the denouement. And what an end this one has. 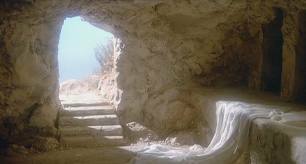 Crucified, dead, buried, sealed in a tomb. Then, a triumphant resurrection. 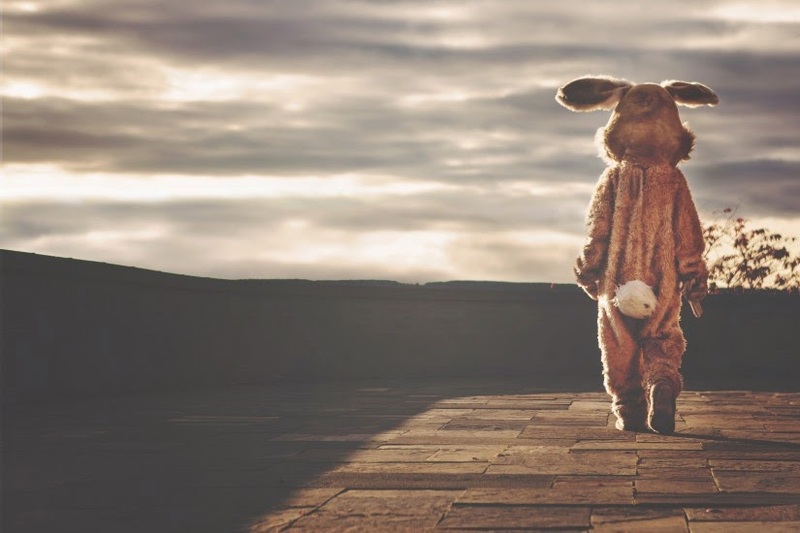 The holiday has become characterized by bunnies and eggs, marked by family and food, but the real meaning remains in the heart of the one who recognizes what the day represents. I hope you paused to do just that. So, the question I pose to you today is this. Now it's after Easter. What do you plan to do about it? Tweet with a single click: "After Easter, what?" Click here to tweet. Writing: Do Videos Help Promote A Book? 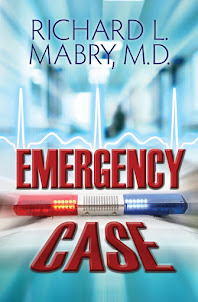 NEWS FLASH: My novella, Rx Murder, is now available on Amazon at $1.99 for the Kindle version, $5.99 for the printed version (it may be a few days before this version is available). Hope you like it. We've talked a bit about about writing (and that will continue). 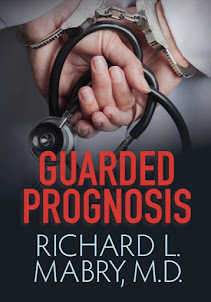 We've talked a bit more about so-called "indie" or independent publishing--i.e., self-publishing a book without the help of a traditional publisher--and I hope to have more on the subject in the future. But we've spent very little time on marketing. So let's address one question that always comes up: do videos help sell books? I've also put audio segments and information about the book on several sites at Southern Writers Magazine. Click here to check them all out. 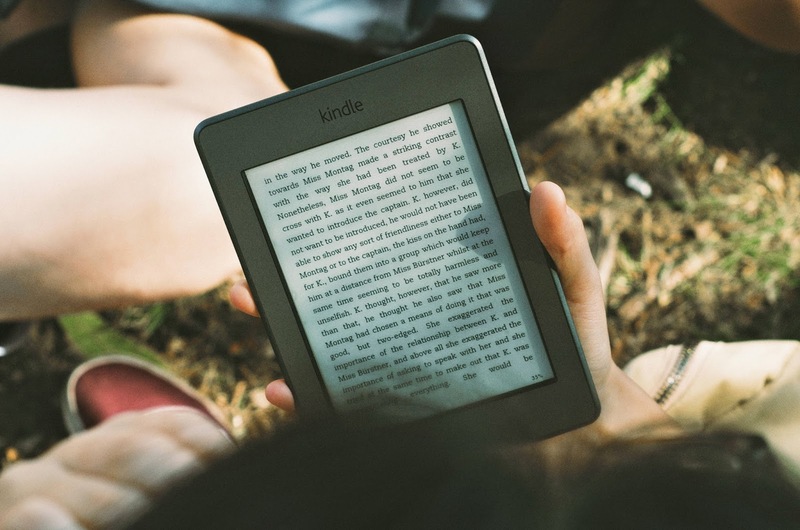 Tweet with a single click: "Do videos help promote a book?" Click here to tweet.